When Alessandro Michele became Creative Director at Gucci, he revived an archival 'GG' plaque for the 'Marmont' bag collection - now it's seen on everything from shoes to belts. 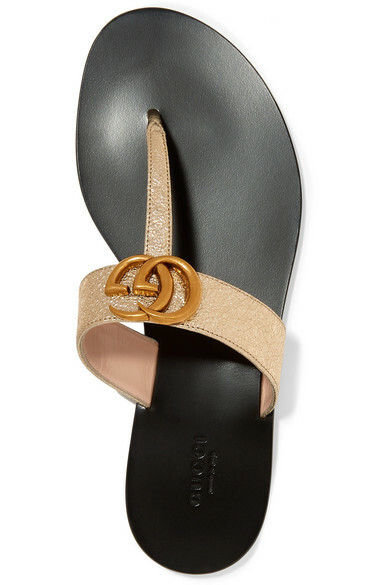 These T-bar sandals are made from gold textured-leather and have a rigid, hard-wearing sole. Complement yours with tonal jewelry. Shown here with: Loewe Dress, Montunas Tote, 1064 Studio Earrings.